Like many others, during my work day I fall into the firefighting trap, a time mis-allocation problem that leaves me focusing on urgent, but not necessarily important tasks. Firefighting is addictive because it’s fast-paced, nonstop and fun. But firefighting is exhausting and leaves me feeling as if I haven’t made progress toward my goals. In addition, firefighting inhibits effective time allocation. A week can pass and I find that the non-urgent but important projects like preparing for a board meeting and researching a new sector like Bitcoin have been starved for time. Or I look up and realize I’ve been spending most of my time on urgent but not-important things, like returning huge volumes of email. Last week, I came across an issue of Harvard Business Review called “Find Your Focus: Getting Things Done the Smart Way.” The issue is worth reading in its entirety because it reprints all the research of management effectiveness to grace an HBS page in the past ten years or so. Most of the content is available on the web for free. In the issue, the authors focus exclusively on being effective, not productive. It’s a semantic difference perhaps, but an important one. One article in particular resonated with me. 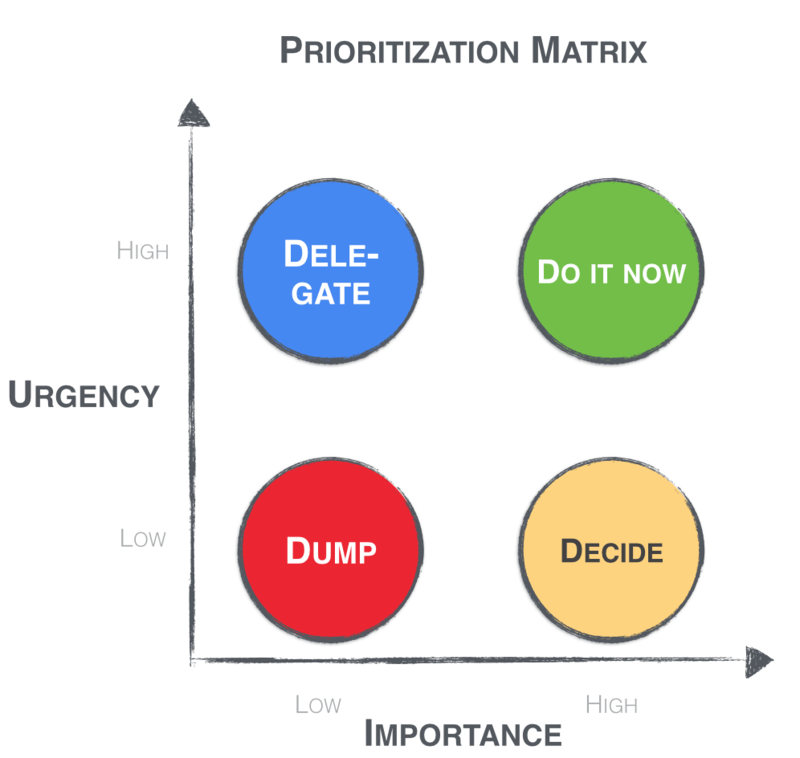 Called “Making the Most of Slow Time”, the article highlights a framework Steven Covey created called the Prioritization Matrix, which I’ve reprinted here. The idea underpinning the PM is to stop at each point when starting a task and asking is this urgent and is it important? If so, then complete the task. If not, then either delegate the task if it can be done by someone else, dump the task because it’s neither important nor urgent, or schedule a time to handle the non-urgent but important task. Asking this simple question helps prioritize the urgent and important tasks and ensures that the non-urgent, but important tasks like board meeting preparation, have time allocated to them. Since coming across the Bullet Journal six months ago, I’ve become an adopter of the note-taking technique and it’s helped me keep organized. In 2014, I’m going to resolve to append Us and Is to each task in the bullet journal, in the hopes I’ll be more effective.